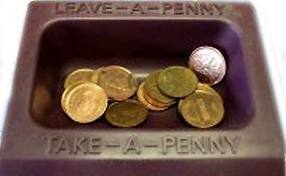 Give a Penny, Take a Penny…NOT THE WHOLE THING! | Oh Yes They Did! Glad to see it’s not just me on this one. It really was astonishing.